Notes Based on the chassis of the M2 light tank and built by Allis-Chalmers, the M4 high speed tractor was first issued in 1943. It came in two types, both with different ammunition storage bins, the version designed to tow the 3in and 90mm anti-aircraft guns was called Type A and another for towing 155mm Guns, 8in and 240mm Heavy Howitzers was Type B. 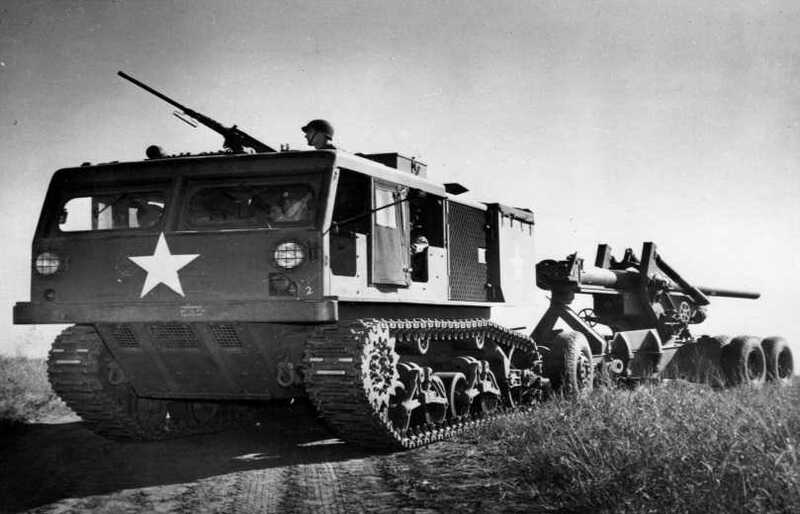 The M4 could also carry a gun crew of 10 plus ammunition, it had a .50 M2HB Heavy Machine Gun on a ring mount above the drivers compartment for AA and close defence. The M4 HST saw action in World War Two and Korea and was decommissioned in 1960.